For various reasons, sometimes homeowners miss on a mortgage payments. The economy continues to suffer and many people have not been able to find jobs that pay well enough to keep up with monthly expenses. Sometimes it’s a choice between paying for gas and groceries and going to work instead of paying the mortgage. If a borrower can no longer pay for the mortgage, then there are still several things that can be done to avoid foreclosure. Many borrowers are enticed to apply for a loan modification with the idea that a lower payment will be offered. The problem with loan modifications is that a modified mortgage payment must still be within the financial capability of the homeowner. In simple terms, there must be enough income to afford a lower mortgage payment and all the other basic monthly expenses in order to qualify for a loan modification. It is possible to apply for a loan modification directly through the lender or through the servicer. There are also many commercial loan modification companies that offer to help homeowners who are looking to modify their loans. One of the most popular servicers is Ocwen. The Ocwen loan modification department has invited many homeowners to restructure their mortgage payments. The problem that most borrowers face when applying for a loan modification is the deceptive tactics used by servicers. There are a number of loan modification scams to avoid. Lower mortgage payments based on 2% interest rates and waiving of arrears, fees and penalties are just some of the selling points of these scams. Companies entice homeowners to pay for their loan modification programs that are too good to be true. A loan modification scam can be avoided if you consult a mortgage attorney with experience in real estate. There is no need to hire a loan modification attorney Los Angeles. For a loan modification California laws are geared in favor of the homeowner, to make sure that lenders do not foreclose without holding off during the loan modification process. Protect yourself and your property from loan modification scams by consulting with one of our attorneys. We can help you avoid the pitfalls of a scam and file a lawsuit when your lender is violating the law. Don’t waste your time and money; don’t believe a sales pitch that is too good to be true. 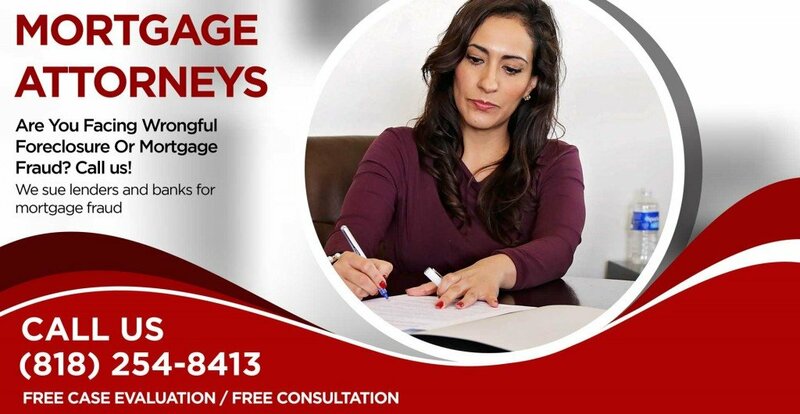 Call us today and discuss your situation with our mortgage attorneys for free.